In Mind Therapies create and deliver a wide range of Be Well Wellbeing Workshops that aim to inspire and motivate. We understand that life can be busy and hectic so we provide workshops and masterclasses that allow you to invest some valuable time in your own health and well-being. Our philosophy is based on helping people to look after their own wellbeing. 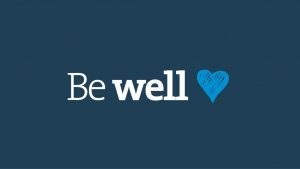 We believe with a passion, in introducing self help techniques into sessions and encouraging people to support their own wellbeing in everyday life. Our classes and workshops offer you a unique opportunity to spend some much needed “me” time and aim to help you to improve and maintain your emotional health and general wellbeing. We cover a wide range of topics, issues and conditions from anxiety to weight, from self- development to mindfulness. As we create the workshops ourselves, we are also able to individualise them according to the group or organisation we are working with. Our masterclasses are a great way to support your wellness and learn new skills in a friendly atmosphere! All our workshops aim to support, educate and empower! Interested in having a workshop for your group or organisation? We can offer a bespoke service where we will design a wellbeing workshop especially for your needs and deliver it. I am always happy to discuss the work that I do, so please feel free to contact me if you require more information. Please leave your name, contact details and query if we are unavailable at the time of your call and we will get back to you as soon as possible.